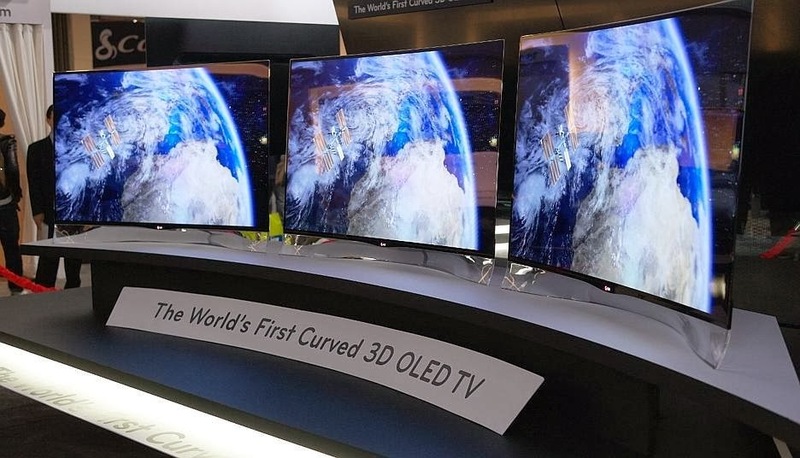 Curved TVs - The Future Of TV Or An Expensive Gimmick? Curved TVs were the talk of the town at this year's CES in Las Vegas. Samsung premiered their 105 inch OLED outing; LG showed off their flexible entry that would alternate between curved and flat with the click of a button. Each claimed it would be the future of television and sent the tech media, from Wired to Number Direct, into a wide-eyed frenzy. So what exactly are these curved televisions and why should we care? 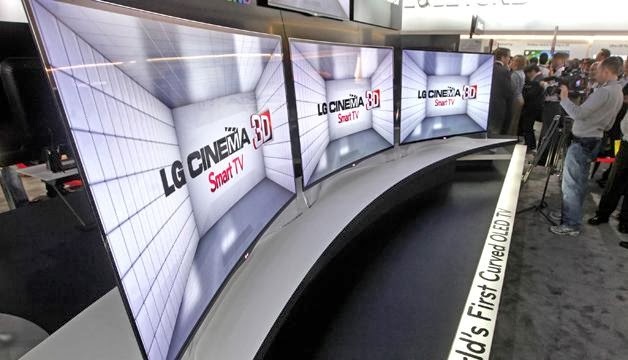 The line that both Samsung and LG peddled during the Las Vegas event was that curved TVs would make watching television like viewing a movie in the cinema. Samsung representatives even went as far as to call them an immersive "IMAX like" experience. This makes sense in theory. IMAX and cinema screens alike are known for their curved features. What Samsung and LG have failed to recognise though is that the curve of a cinema screen isn't to create a more immersive viewing experience. That comes from its size. More often than not the curve is to compliment the distance of the projector ensuring that all the light emitted hits the screen at the same time. A curve in the TV set won't make a whole lot of difference for the average punter watching 'Breaking Bad' in their pyjamas on a Sunday afternoon. Their claims of curved TVs being the next step in television viewing is even more unlikely seeing as, well, what ordinary person has room for a 105 inch screen in their front room?! Samsung and LG could make their sets smaller in years to come. However, even if they were the same size as a flat screen, the curve would require the viewer to be directly in front and centre to enjoy it. Those at an angle would get a distorted, crooked image. Getting together with your family to tune into the latest episode of your favourite TV drama, each spread across different places in the room, would therefore be impossible. So why is Samsung and LG hailing curved TVs as the future of home entertainment then if it has so many inconveniences? The fact that neither company can agree on why curved TVs are so good (one says it makes edges closer; another says it makes objects in the centre larger) tells you everything you need to know: its desperation. After another year of plummeting TV sales, these companies need a new innovation to reinvigorate the market and are frantically trying to find something -- anything -- to provide this. Curved TVs are what they are clutching onto. Will the market respond with the enthusiasm Samsung and LG desire? Should we care about curved televisions then? In short, the answer to both is a firm and hard 'no'. Curved TVs are just an expensive and attractive gimmick attempting to boost sales. They add very little to what is already available. In fact, they probably take more away. Consequently, as far as customers go, what happens in Vegas will probably stay in Vegas. Curved TVs will struggle to resonate with the buying public. They are an expensive solution to a problem that never existed in the first place, and as the old saying goes: if it ain't broke, don't fix it.